NS-37. As might be expected, the armament fit of aircraft became heavier as the war progressed, but not by as much as in the case of most other combatants. The Soviet Union did not field any large-calibre cannon for air-to-air fighting during the war, except for the 37mm M4 and M10 in the American Lend-Lease P-39 and P-63, although the NS-37 and even the NS-45 were in practice used in this way. However, during the 1930s they had conducted some remarkable experiments with recoilless cannon, some of which saw service. The guns were collectively known as DRP (Dynamo Reaktivnaya Pushka, or dynamic reaction cannon) and experiments began in 1931 with guns of 76mm calibre, which were successfully fired from aircraft. 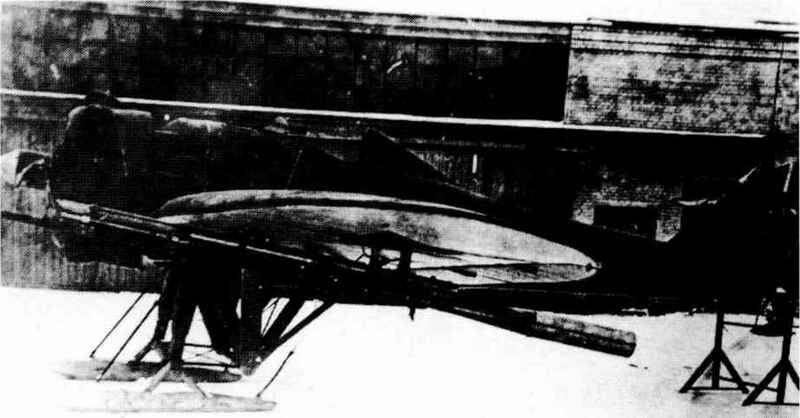 The TsKB No.7 single-engined fighter (also known as the Grigorovich I-Z) was fitted with two of these DRP-76, and some seventy-one production machines were built between 1932 and 1935 and taken into service. These guns could only fire one shot, so much work was done to produce an autoloading mechanism resulting in the 76mm APK-4 (Avtomaticheskaya Pushka Kurchevskogo, designed by Kurchevski) and the APK-11 of 45mm calibre. In 1934 the IP-1 (Istrebitel Pushnechnii, or cannon fighter, also designed by Grigorovich) was initially designed for two APK-4s, but testing of the prototypes showed that the rate of fire was too slow for air fighting, and the DRPs were dropped in favour of the 20mm ShVAK.